Istanbul Modern Cinema has initiated a new project titled “Masters of Cinema in Turkey”. Istanbul Modern is closed on January 1 and on the first day of the religious holidays. Free admission on Thursdays for residents of Turkey. 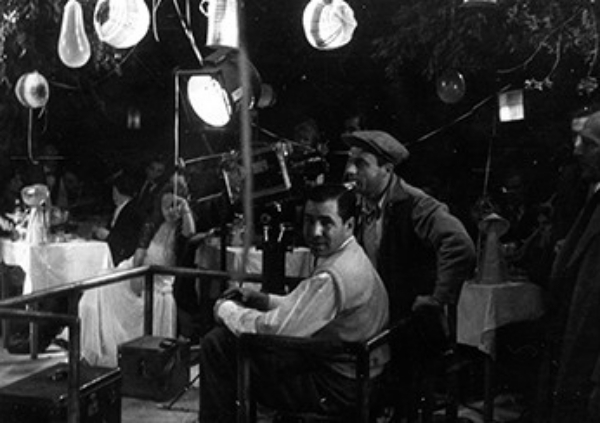 Istanbul Modern Cinema has initiated a new project titled “Masters of Cinema in Turkey”. The first guest for this series, which is devoted to founding directors of cinema in Turkey, is Lütfi Akad, who has come to be known as the “masterless master” and is a pioneer of the period referred to as the “Filmmakers’ Era” in the history of cinema in Turkey. An archive exhibition will be presented within the scope of the project commemorating the director’s 100th birthday. Taking a look at the cinema of Lütfi Akad, whose filmography and 95-year life reflect the story of Turkish cinema, the exhibition which will be held in the cinema foyer brings together 100 pieces of archive material such as production stills, film stills, original scripts, and posters from Akad’s filmography that had not seen the light of day until now. This material is accompanied by the director’s words to describe his films. Akad’s aptitude for observation can be seen not just in his films but in his memoirs as well. Shedding light on the birth of Yeşilçam and its conditions, his writings and interviews serve as the narrator of this exhibition. Taksim: Take the funicular railway line inside the Taksim Metro station to Kabataş. Then get on the T1 Zeytinburnu – Kabataş tramline and get off at the Tophane stop. Atatürk Airport: Get on the Aksaray – Havaalanı metro line for Aksaray. Then transfer to the T1 Zeytinburnu – Kabataş tramline and get off at the Tophane stop. Blue Mosque Area: Get on the T1 Zeytinburnu – Kabataş tramline and get off at the Tophane stop.